The decision came 1 hr. 30 min. after fuelling with liquid oxygen and hydrogen had begun at 6.00 a.m. EST (12.00 p.m. CET). It was the 2nd time in 72 hours that the tank—containing 2 million litres of fuel—had to be drained. In a nominal mission scenario, 8 min. 30 sec. after lift-off the engine cutoff (ECO) sensors are supposed to confirm that the fuel tank has emptied and then trigger the shutdown of the 3 Space Shuttle Main Engines (SSMEs). The ECO fuel gauges are vital, because if the SSMEs continue operating with the fuel tanks empty, they could explode. A 1st launch attempt had to be scrubbed 6 December when 2 of the 4 ECOs gave a false reading while the tank was being filled, indicating it was empty when it was in fact full. 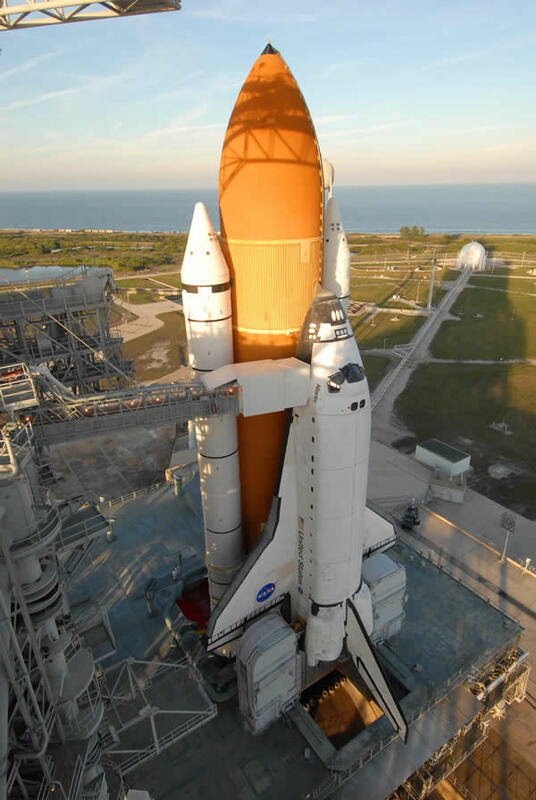 The same malfunction occurred in July 2005, delaying the launch of Discovery for a week while the fuel tank was changed out. 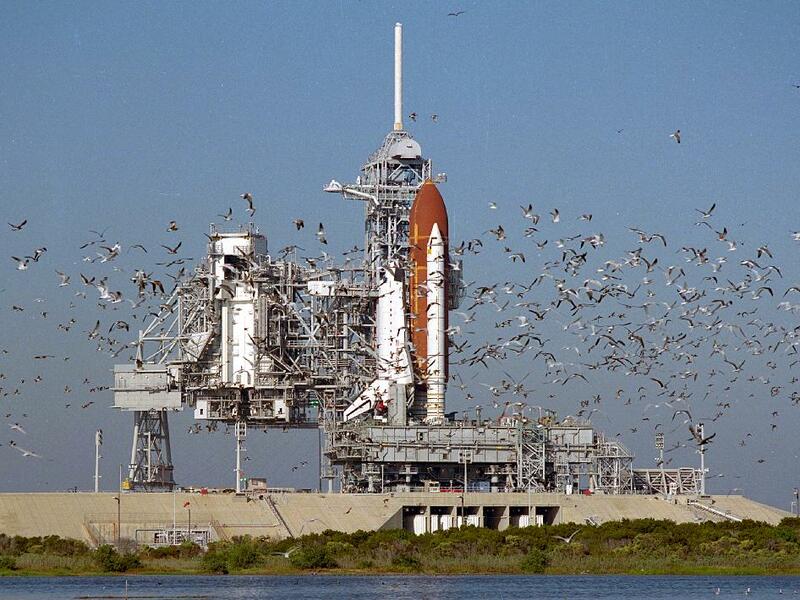 As the launch window for the STS-122 mission closes 13 December, NASA mission managers initially decided not to roll back Atlantis to the vehicle assembly building and authorized a new launch attempt, with the crew’s backing, provided the 4 ECO sensors were functioning normally. Sunday 9 December at 9.30 a.m. EST, it was officially announced that the next launch attempt will now be next year, "no earlier than 2 January". "We wanted to fly on Thursday and we wanted to fly today. But more importantly, we want to fly safe," said Alan Thirkettle, ESA’s ISS Programme Manager. 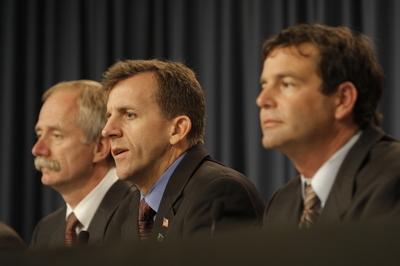 Earlier in the week, NASA Shuttle Program Manager Wayne Hale said such a launch postponement would have no impact on the shuttle launch schedule in 2008. After the Columbus module, the shuttle is scheduled to fly the Japanese Kibo laboratory module to the ISS. At the press conference on the morning of 9 December at the Kennedy Space Center (KSC), Launch Operations Manager LeRoy Cain said that the crew would now be returning to Houston to spend Christmas with their families, while continuing with their training regime.